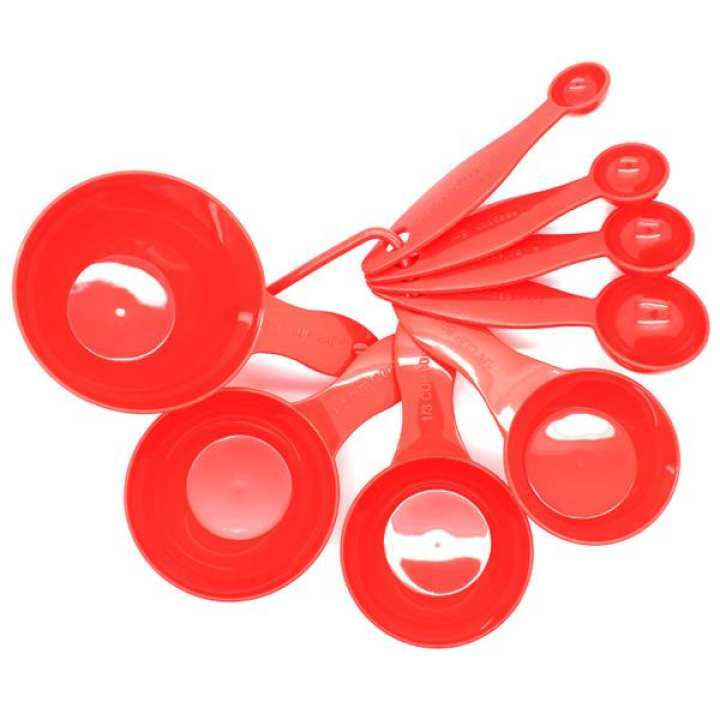 Use these cute red colored measuring cups and spoons for measuring ingredients. Each cup and spoon has its measurement /capacity carved on it for your ease. Set contains 8 differently sized measuring cups and spoons.These cups & spoons are made of good quality plastic and can easily be washed.